The traditional concept of skiing as most people know is all about heading to the ski resort to board the chairlift or aerial gondola up to the slopes and riding down the piste. For the most recent trip to Niseko, my ski buddies had the great idea of going on a cat skiing tour. 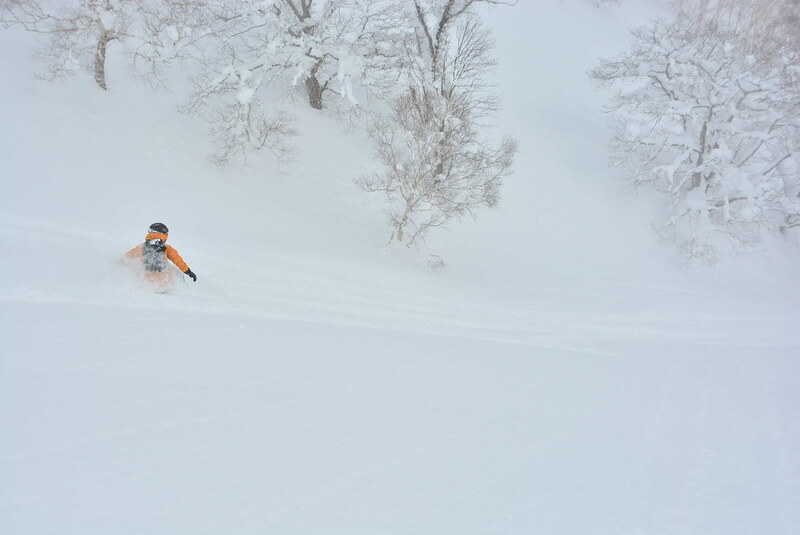 We booked with the Niseko Weiss Powder Cats, whose base was located in Hanazono. While there are several other cat skiing outfits around Niseko, we went with this as they were fairly reasonable in terms of pricing and is suited for first time powder skiers as well as more intermediate riders. 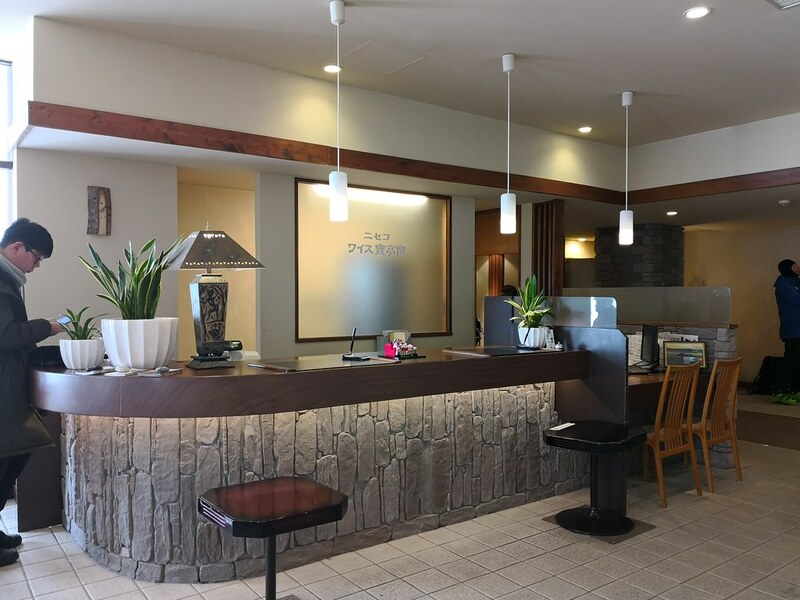 Cat skiing tours is a whole day affair and thus the cost of ¥39,000 (~$390) per person covers everything including transportation, lunch and snacks. 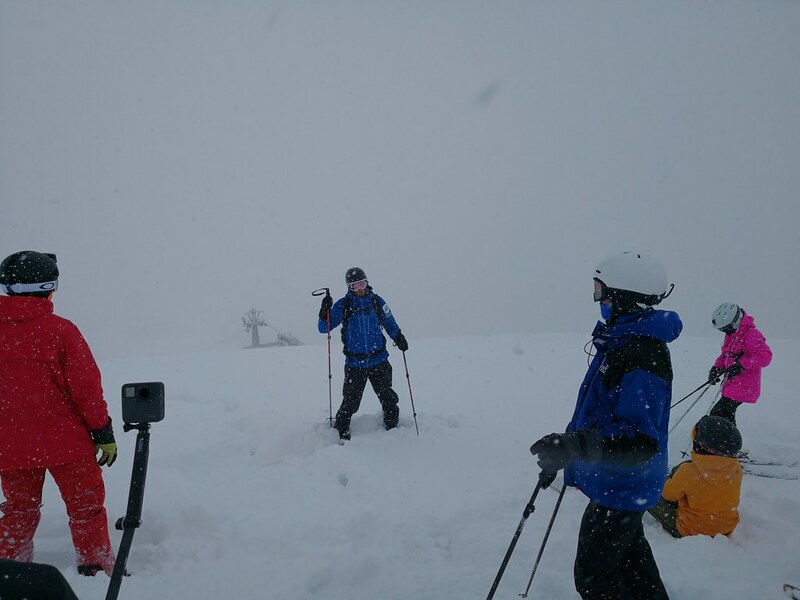 On the morning of the appointment we were picked up by a van and brought to the base of the Hanazono ski area for a briefing and distributed with walkie talkies and safety equipment. The briefing was quick and took up as little time as possible but it also provided participants time to get acquainted with other skiers on this tour. After that, it was back to the van where they brought us to the base of their cat skiing operation, where the group of 12 was transferred to the snowcat. Participants are seated in this trailer like vehicle with a 2-2 seating spread across 3 rows with a collapsible center seats that is similar in the bus shuttling around Niseko. With the other 3 guides at the back and another one seated up front, there was a total of 16 people (or 17 including the snowcat driver) and we had the whole small ski area to ourselves. This was as far as I had experienced the closest to having a private ski resort, and do note that the tour is limited to 12 people per day so it is advisable to book early when you have firm dates in mind and really provide plenty of time before cancelling to allow other skiers to participate. Unlike taking a chairlift where you are open to the elements, sitting in the snowcat is slightly more cramped but not uncomfortable. At least everyone gets a seat unlike on aerial trams. Onboard, the guides usually prepares a snack bag with assorted chocolates, candies and Japanese rice crackers that they will pass around to while the time, though this is usually on the second run. (You don’t get treats before working out!) 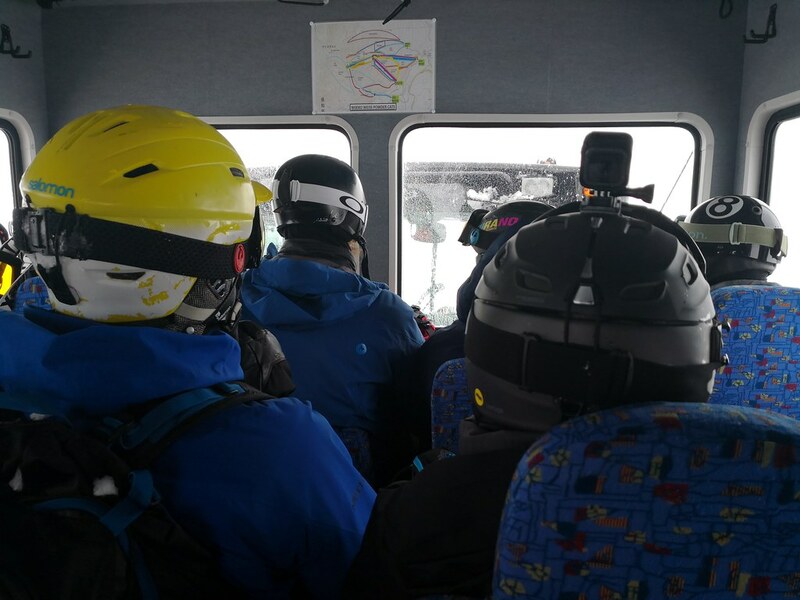 A ride on the snowcat can take around 10-20 minutes depending on the route though for the first ride, we are all treated as newbies in powder and the first run is more like a warm-up run unless the whole group is experienced enough. The first run is a mild run and as expected topped with pristine powder when we visited. In fact it was snowing that day so there was zero tracks on the slopes. The location for the Weiss Powder Cats is actually a ski resort but the chairlifts are no longer running, which means these are normal pistes and the first run is more like a blue-marked run on most ski resorts. That means enough incline to ensure one does not get stuck in the thick powder but mild enough for beginners. How did the first run go? I just have to say it was excellent and got me hooked on powder. 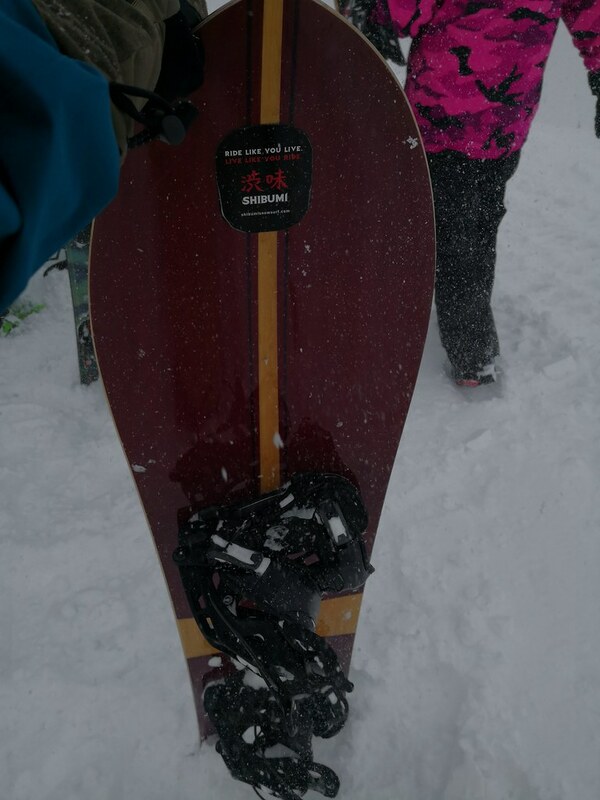 For disclaimer purposes, I was on a powder free-ride snowboard that has a surf-board shape with a fin at the back. To be exact it was a Gentemstick Rocketfish that retails for around ¥154,000 (~$1,540). This makes it super-floaty on soft snow and the thick powder snow actually kind of slows you down a bit. So much so that at the end of the run, I was starting to feel a bit confident and was wanting for more steeper powder runs! And thus it was back to the snowcat to be brought up once again. For the second run, it was a variation of the first run, but we started higher up in altitude to provide more fun for everyone. On this second run, after the initial uncertainties have been ironed out, everyone seems to be a natural and are more confident in just surfing through the snow. And thus seeing that we were more proficient, the guides brought us to a powder gully of sorts with a steeper section ending in a bit of a flat section. From there on there was a narrow ledge for skiers and snowboarders to traverse for around 300m before ending at the location where the snowcat would wait for us. This section got many of us stuck for sure due to the fear of falling into a ditch at the flat and narrow section. While not dangerous, we did spend some time here as everyone had to wait for their turn to prevent overcrowding at the narrow section. Needless to say not many truly enjoyed the last section of the second run due to the difficulty of getting up from the thick snow once you stop of fall. The narrow traverse was also not great due to low lying branches. 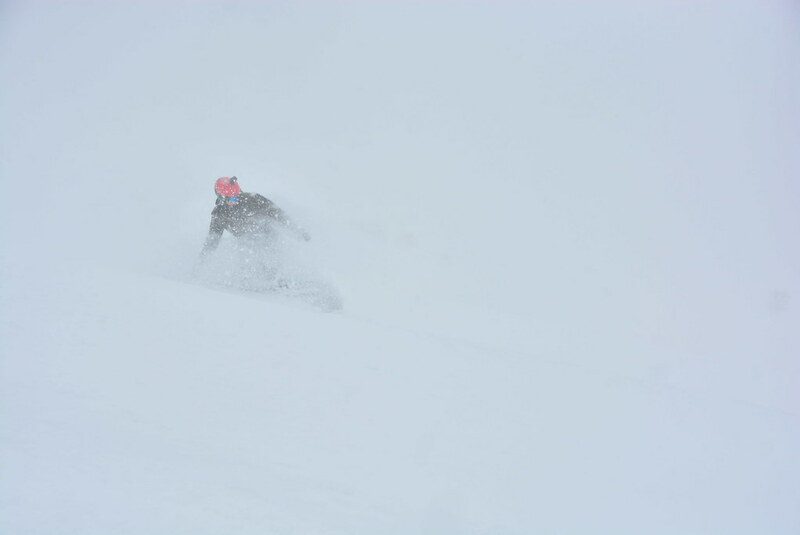 As a result, some of us were plainly exhausted by the last run and it was great when the guides just brought us back to wide runs with plenty of powder once again. 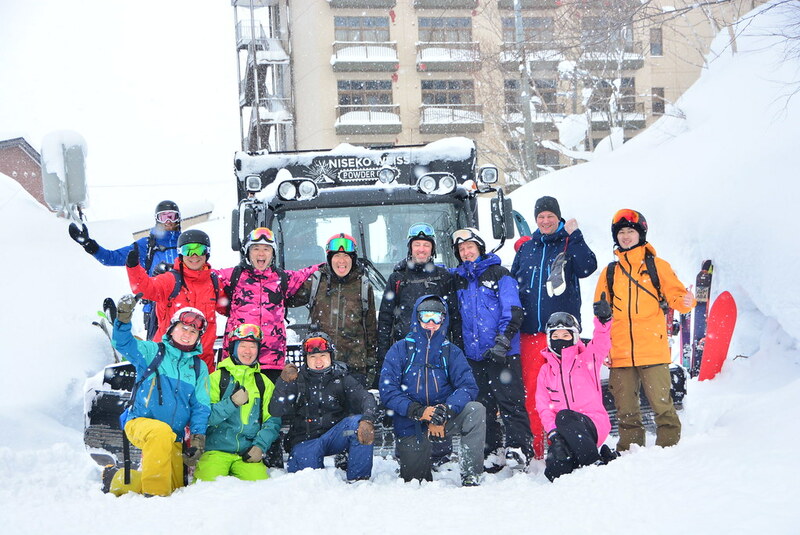 After the 3rd run, the group took the snowcat back to the Weiss Hotel where lunch was prepared. Lunch break serves to provide plenty of time to use the washrooms, get some smoke break and maybe just loosen your boots and grab a Sapporo or Calpis to freshen up. Lunch was a classic Japanese set meal with a Pork Katsu (deep-fried breaded cutlet) with egg over rice. Tables were arranged such that groups were seated with their booking partners and that resulted in no animosity. 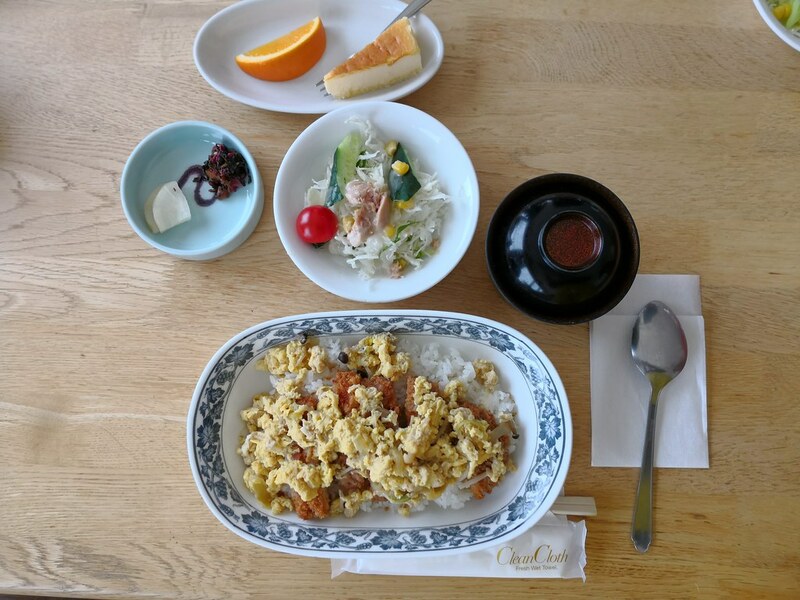 Along with the main course, there was a bowl of salad, a bowl of miso soup, Japanese pickles and a dessert plate consisting of orange and cheesecake. While the katsu was not superb, it tasted delicious like most Japanese food served in restaurants. Or maybe it was the draining work during the second run such that I finished the whole meal. Around an hour and a half was spent at the hotel which provided plenty of time for all the participants to chit-chat and generally relax their muscles before continuing with the second half of the cat-skiing. The second half of the cat skiing proves to be even better as the lunch break meant the slopes was rejuvenated with fresh snow. With the snowcat, it is possible for participants to leave their backpacks and bottled water inside when they ski as the same snowcat will pick up the skiers back to the top. The instructors would also be happy to provide bottled water and snacks during the day so there really is no need to pack anything else other than your gear. They even have a photographer ready to take some action shots throughout the day. Back on the snowcat, the afternoon continues with more of the powder runs and with the guides knowing the skill levels of the participants by now, they brought us to the wide open bowls with longer runs this time. Some of the runs even features a mild flat section that requires skiers and boarders to go fast to prevent stopping. The thicker snow certainly made it more of a challenge as it slows you down considerably. But in all the other 3 runs in the second half, all the participants certainly got their fair share of powder sprays from the new snow. By about 3pm we took the last ride up on the snowcat for one last run and that made sure for all the participants to savour the run as much as they can with all of us weaving in and out of the fresher portions to get the last fleeting moments of skiing in deep powder. At the end of the day, the skiers and boarders congregate for a couple of group photos with all participants sent a link to the photos posted on Flickr, as memories of their fun-filled day. Transport back to the accommodation was included for the tour as well. 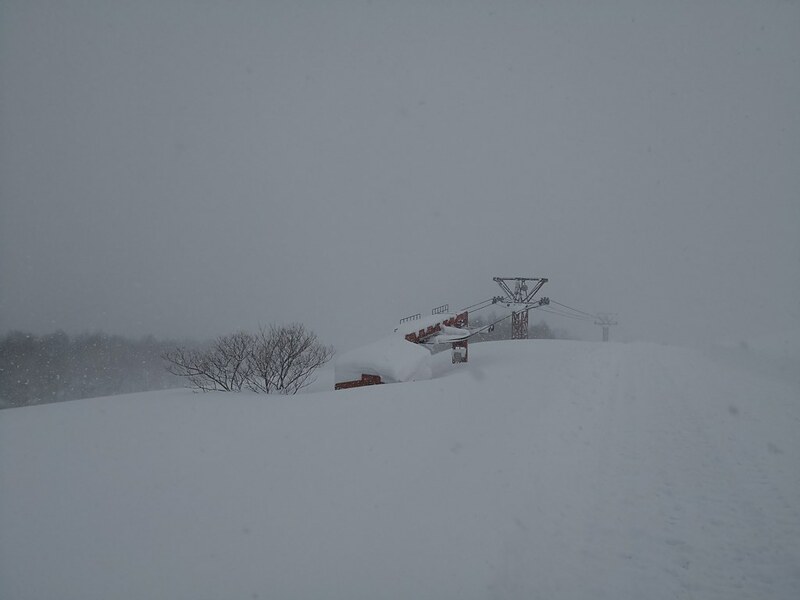 Granted the cost for a day of cat-skiing in Japan is not cheap since it costs more than 3 times that of a ski lift ticket at the top resorts. But for the exclusivity and that fresh snow experience, I have to say it is definitely money worth spending. It is not something I see myself doing everyday for a one week ski trip but I might fork out the cost for once a season under the right conditions. 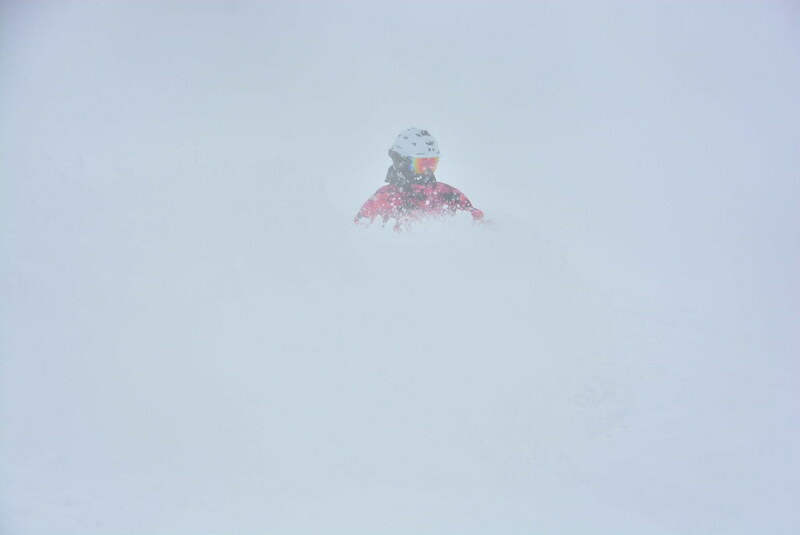 With the variations in snow fall these days and uncertainty in weather that can often result in a lack of snow fall, having knee deep powder with guides and a charter on a snowcat up a private ski hill can be considered a special skiing experience, and I look forward to my next deep powder days again!